Just about every parent wants to know how to build their child’s confidence. Granted, there are some kids who have confidence in spades and welcome change with open arms. However, it’s a constant work in progress for most as they gradually learn how to give something their all, regardless of the outcome. My 7-year-old girl surprised me today, because I’d fooled myself into thinking that she was a natural born performer. I enrolled her into a week-long intensive acting and singing course and thought I’d also enrol my 8-year-old boy who had struggled with confidence. So you can imagine my surprise when I picked up the kids after their first day in the course and discovered my daughter had sat in the corner for most of the day, counting down the moments until I returned. My son on the other hand had embraced the stage and auditioned for a solo singing part!! On the way home my son sang the praises of the day and drew pictures of himself on stage, while my daughter howled. She begged me to pull her out of the course, making excuses like the music was too loud and she was too hot and the day was too long. When I said she’d need to finish the course she became so hysterical that I had to pull over and take her for a walk to calm her down. It turned out she had a fear of the stage and people looking at her. In other words my so called dramatic girl had a confidence issue. I was flawed! I had seen her on stage a few times and she was brilliant, but she quickly pointed out she always had a friend there. She had no-one but herself at this course. So in order to calm her down and encourage her to finish the week, here are some strategies I used and thought it worthwhile sharing. A fear of trying something new is pretty common among many kids and rather than pulling them out, we need to encourage them to stay to the end. After all its only when we work through our fears that we can conquer them. And it’s only when we try something we’re not necessarily good at that we discover new parts of our self. As a side I’ll add that kids suffering from panic attacks need support in different ways. These tips are for kids who feel anxious and nervous and are quick to make up excuses why they shouldn’t participate. 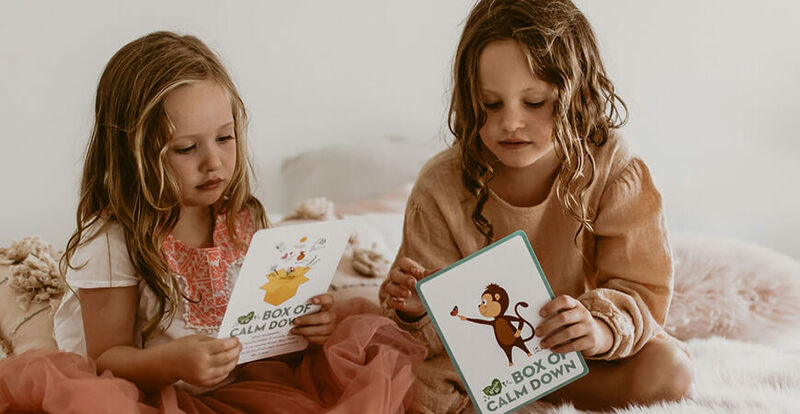 Encourage your child to share his or her fears.The first thing was I needed to find out what my daughter’s worries were. While she was saying it was loud music and the heat, there was obviously another underlying issue. So rather than telling her ‘Not to worry’ and ‘Everything will be fine’, I encouraged her to talk about her worries. Then when she told me it was that she didn’t want to get on stage by herself I probed further. ‘What worries you about that?’ Then when she said that everyone would be looking at her I said ‘You’ve been on stage before, what’s different?’ she said ‘It was with a friend before’.Then when you have the real issue exposed, in this case a lack of confidence in who she was, we problem solved.‘Let’s think of some ways you could handle that.’Then we established what was real and what was imagined that was making her feel anxious. What I didn’t realise is I had never said to my daughter that she didn’t need to be good and that I loved her regardless of how well she did. I was just so proud of her for giving something new a go. I told her that the people that loved and support her (like me) aren’t the ones judging her. The people who love her, want to see her enjoy life and try new things. 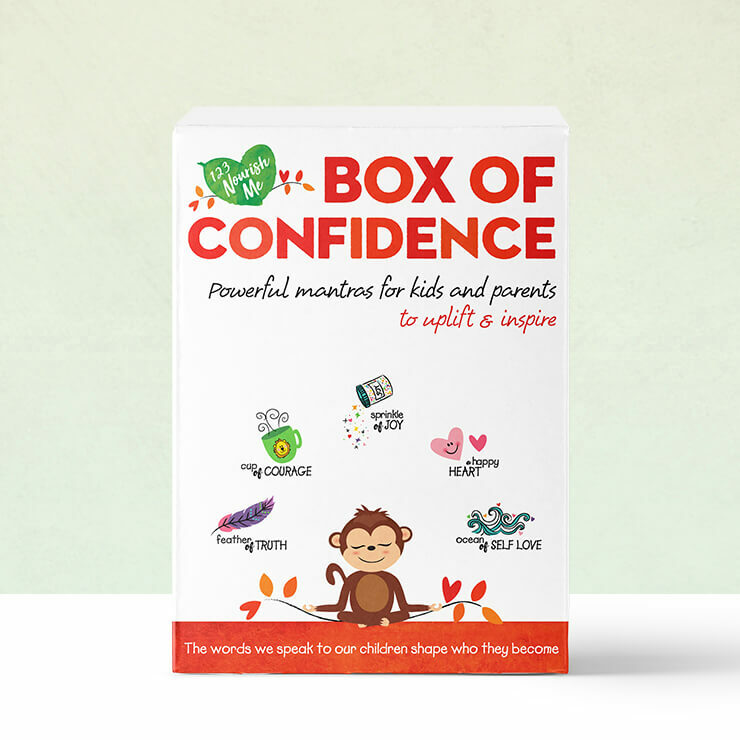 Something we started with tonight was introducing the Box of Confidence – a tool designed to build on the child/adult bond and improve their self-talk. Then the next day – she can focus on joining in the singing. Following this she can look people in the eyes when talking to them. If we focus ONLY on the goal, it’s far too overwhelming! By focussing on small daily steps towards that goal, we more often than not get there a lot quicker and learn on the way. It’s natural to want to prevent your child from getting hurt, feeling discouraged, or making mistakes, but when you intervene – like if I tried to save my daughter from feeling humiliated or embarrassed today, I would have robbed her of learning more about herself. Kids need to know that it’s okay to fail, and that it’s normal to feel sad, anxious, or angry. They need to know that each setback in part of developing as a well-rounded human being. I have done this with myself for years and am now going to focus on doing it more with my children. Reflecting back is when you constantly praise yourself when you feel you’ve done well. You become your own best friend and it’s a brilliant way to build healthy self-talk. Even before sleep, encourage kids to look for where they did well and talk about what they were proud of. If they didn’t do well somewhere in the day, simply tell them ‘that’s not like you’ and ask what they’ll do differently next time. It’s still early days and my daughter needs to finish day two… however, I have every confidence that she will enjoy her days on the stage if she sticks it out. The events of the day have also been a very valuable lesson for me in not taking my child for granted. Sometimes it’s the ones you think are thriving, that need just as much attention, especially if things have gone unnoticed for too long. Confidence is something that needs to be nurtured daily with our little ones. It’s really one of the great foundations on which they need to thrive and be healthy adjusted people in the future. 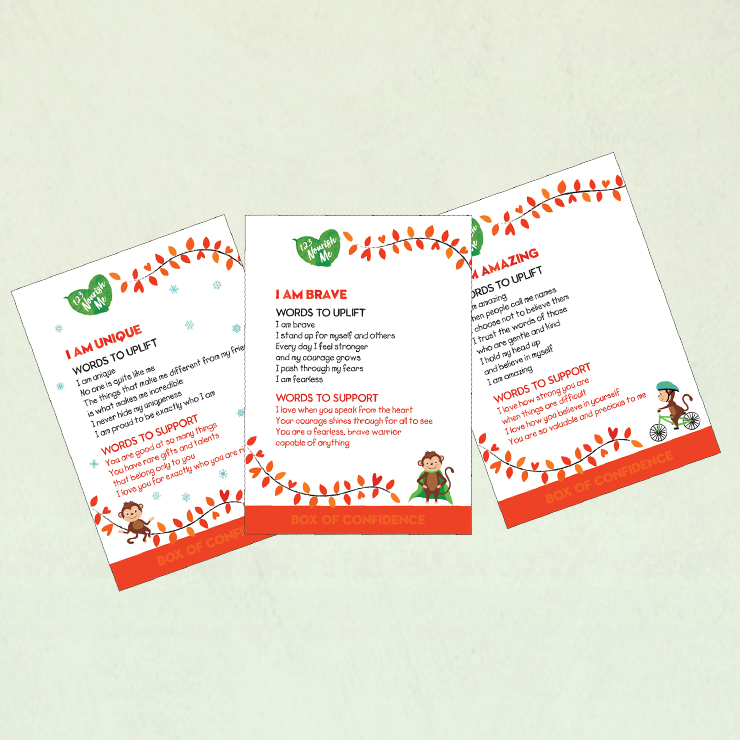 If you would like to help build your child’s confidence, we have developed the Box of Confidence for that purpose.